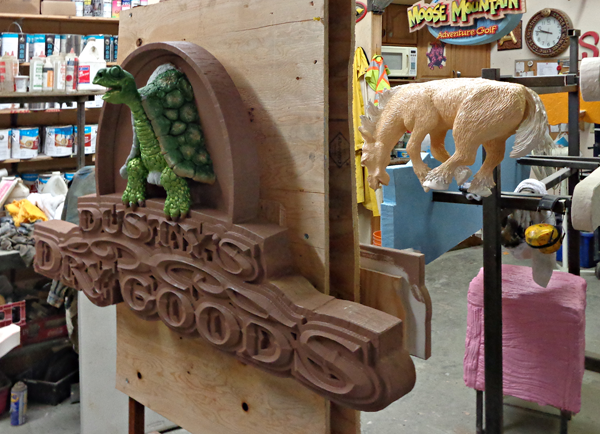 Most of the crew headed up to the lake first thing this morning with the exception of the painting crew who stayed in the shop until after lunch.The signs and features we sculpted this past week are now beginning to get their colors. 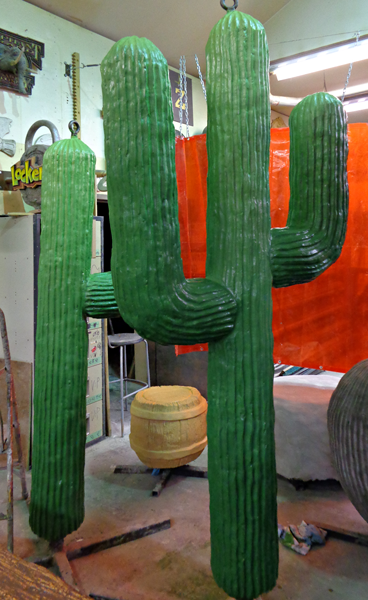 The shop quickly became a very vibrant place and the pieces instanty came to life. It's fun to watch as the creative process is repeated time after time on this project. We are almost done the shop work for this project. Soon all of our efforts will be on site.